In today’s episode of the IT Provider Network Podcast, I am going to share a thought process that was shared with me by my coach Alex Charften. As you know if you have been listening to the ITPN podcast for a while, we do a lot of forward planning in our company. We follow the Gazelles Scaling Up methodology Each division sets “rocks” or objectives for each quarter but there never seemed to be any congruity between these rocks and the real things that needed to be improved in our company. Once I started looking at these 6 core functions our quarterly objectives really started to become dialed in. Resell and Upsell – What are you doing to get your clients to buy more of your products and services – usually the work of your account manager. 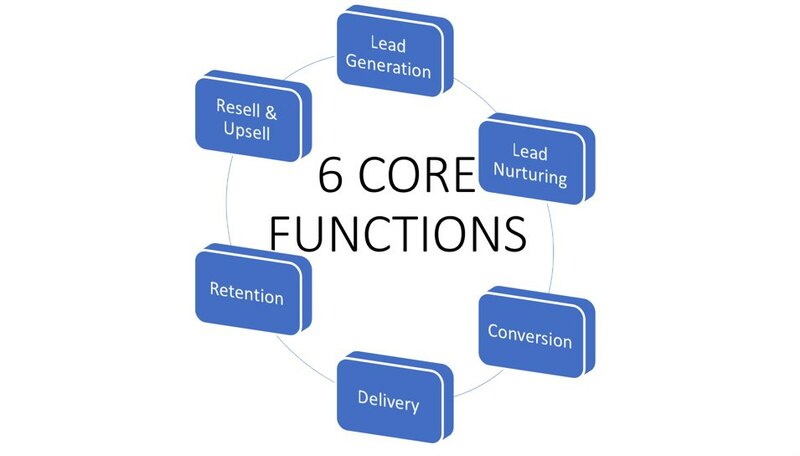 Start looking at these 6 core functions in your business. Rate them from 1-5 and revisit that rating every 90 days or so. Start working on the lower scoring functions that are at the top of the list. In other words, if Lead Generation and Retention are your problems work on lead generation first. If you concentrating on any efforts in your company that don’t directly help improve these core functions, you are probably floundering.